In this study, we use deterministic and stochastic models to analyze the demography of Verreaux’s sifaka (Propithecus verreauxi verreauxi) in a fluctuating rainfall environment. The model is based on 16 years of data from Beza Mahafaly Special Reserve, southwest Madagascar. The parameters in the stage-classified life cycle were estimated using mark-recapture methods. Statistical models were evaluated using information-theoretic techniques and multi-model inference. The highest ranking model is time-invariant, but the averaged model includes rainfall-dependence of survival and breeding. We used a time-series model of rainfall to construct a stochastic demographic model. The time-invariant model and the stochastic model give a population growth rate of about 0.98. Bootstrap confidence intervals on the growth rates, both deterministic and stochastic, include 1. Growth rates are most elastic to changes in adult survival. Many demographic statistics show a nonlinear response to annual rainfall but are depressed when annual rainfall is low, or the variance in annual rainfall is high. Perturbation analyses from both the time-invariant and stochastic models indicate that recruitment and survival of older females are key determinants of population growth rate. We thank the government of Madagascar and ANGAP authorities for permission to conduct this research. The Beza Mahafaly Monitoring Team collected a lot of the primary data used in this study, and we are very grateful to the team members Enafa, Elahavelo, Emady Rigobert, and Ellis Edidy. Data were also collected by Diane Brockman and Kashka Kubzdela. This research was supported by a National Science Foundation Postdoctoral Fellowship in Biological Informatics (DBI 0305074) and a National Science Foundation Research Starter grant (DEB 0531988) awarded to R. R. L., and by NSF grant DEB-0343820, NOAA grant NA03NMF4720491, and support from the Ocean Life Institute to H. C. We thank Christine Hunter for helpful discussions regarding the demographic analysis and modeling. 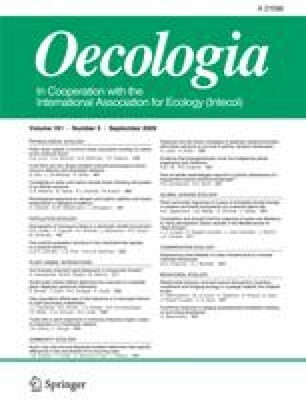 We also thank Christopher Golden, Dave Koons, the editor and associate editor at Oecologia, and one anonymous reviewer for helpful comments on a previous version of this manuscript. All necessary permits (CITES, IACUC, and Biohazard) were obtained and approved prior to conducting this research. Support for the Beza Mahafaly Monitoring Team is kindly provided by the Liz Claiborne and Art Ortenberg Foundation.